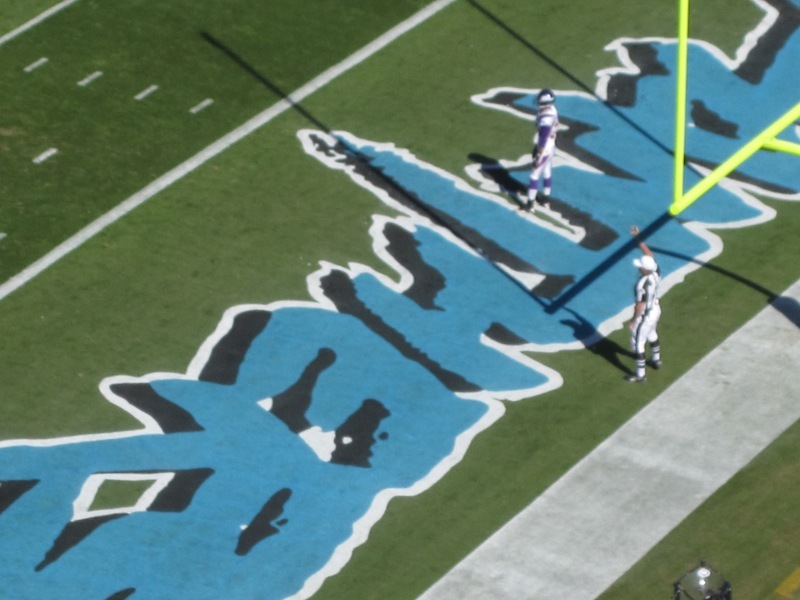 This past weekend, Jay and I were fortunate enough to have an opportunity to go to a Carolina Panthers v. Minnesota Vikings game. 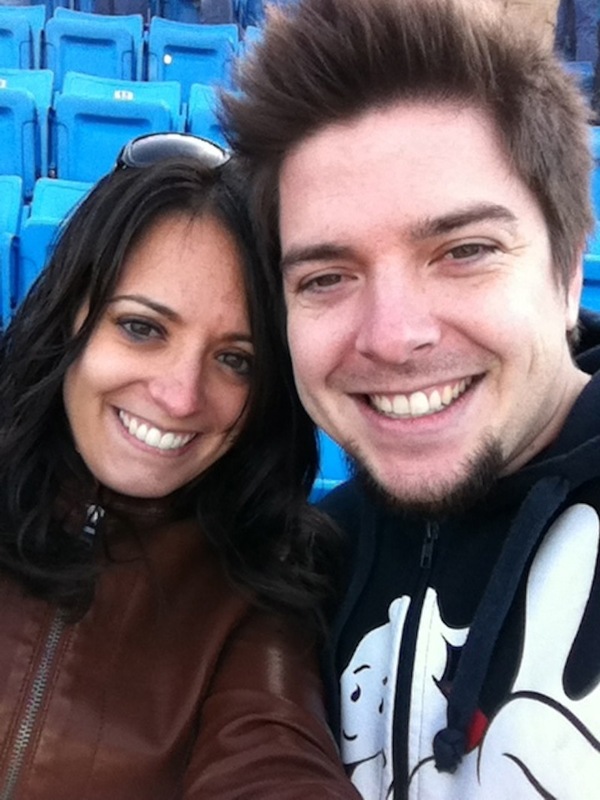 It was the first NFL game for both of us. We decided that since the game happened to fall on the weekend of our six month wedding anniversary (coincidentally) and I had never been to Charlotte, NC before, we would spend the Saturday night there and then go to the game on Sunday. 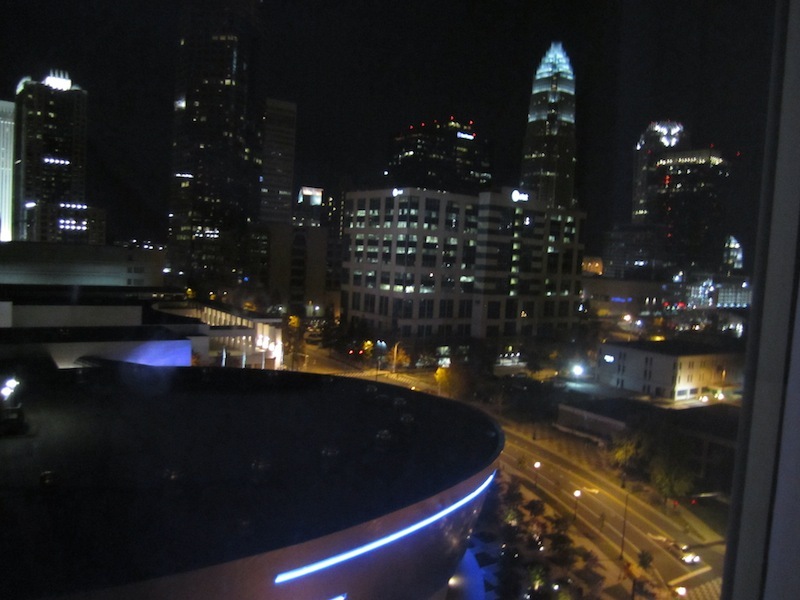 So, after Jay got off work on Saturday evening, we set off to have an adventure in Charlotte. 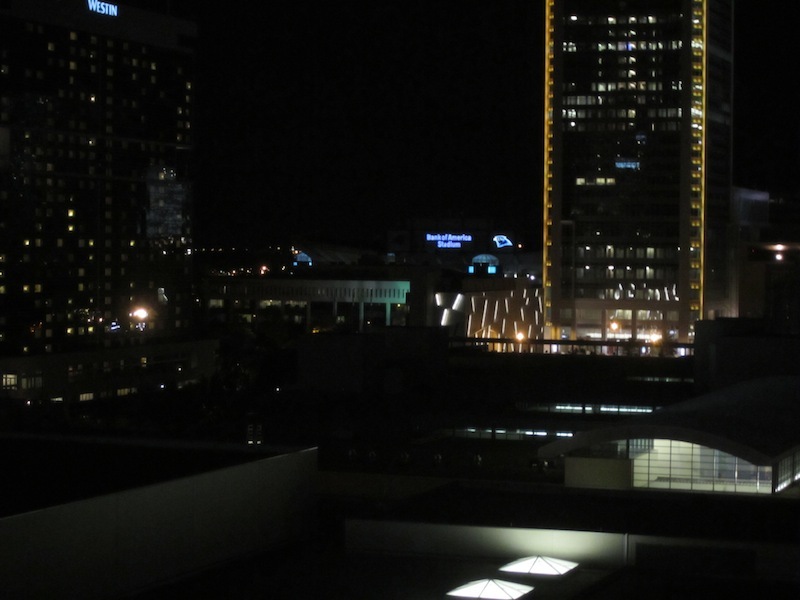 We arrived at our hotel, the Hilton Garden Inn, around 9:30pm. 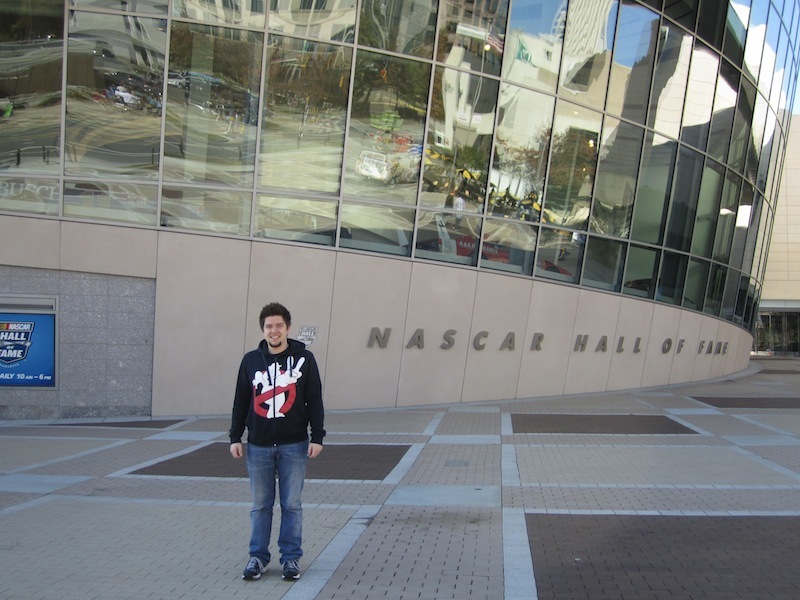 It’s right next to the NASCAR Hall of Fame and the Charlotte Convention Center. 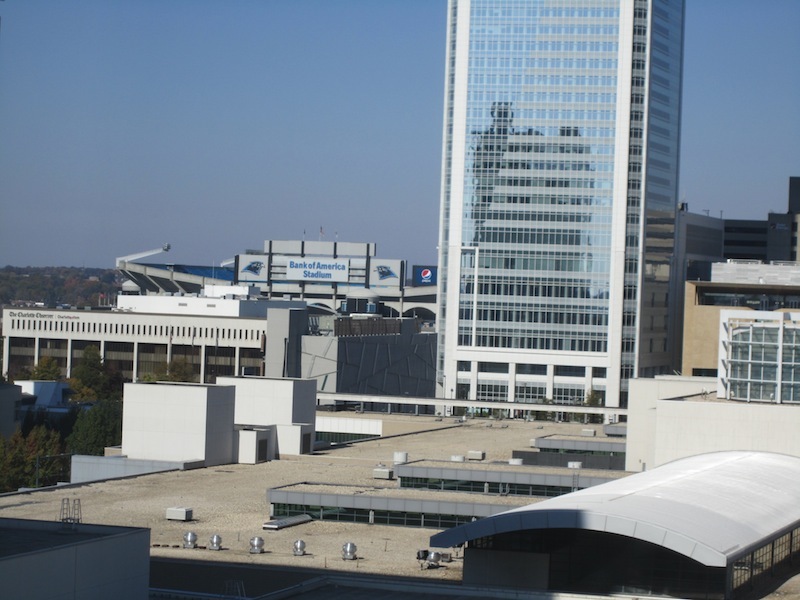 We had a great view of the city and of Bank of America Stadium, where the Panthers play. Mortimor’s that were not dressed in a costume, but eventually we turned it into a fun people watching experience. Jay spotted a guy who looked exactly like my friend Brian. I spotted a guy dressed up as Tom Cruise’s character from “Tropic Thunder.” Jay spotted a guy dressed up as the Genie from “Aladdin.” We both spotted an overly friendly Marilyn Monroe who should not have been Marilyn Monroe but looked like she was having the time of her life now and a headache in the morning. 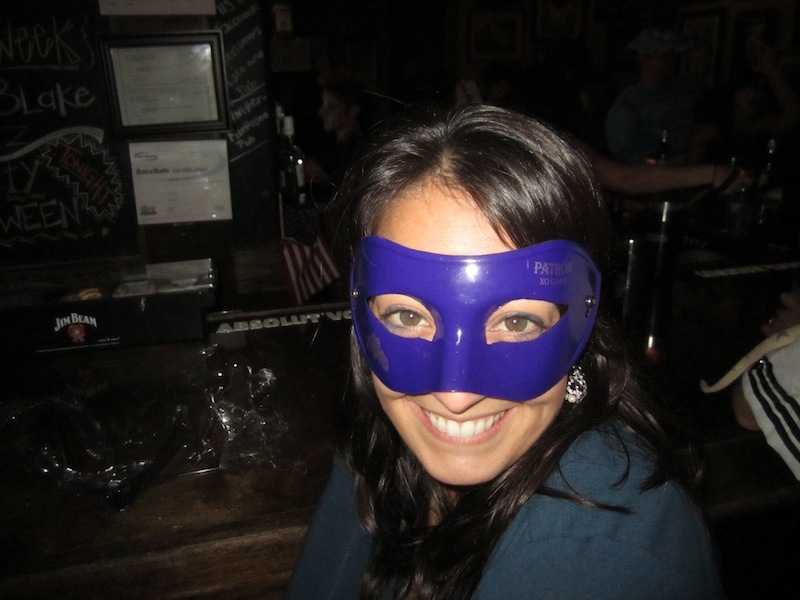 I even got a mask from a drunk girl dressed as a cowgirl. 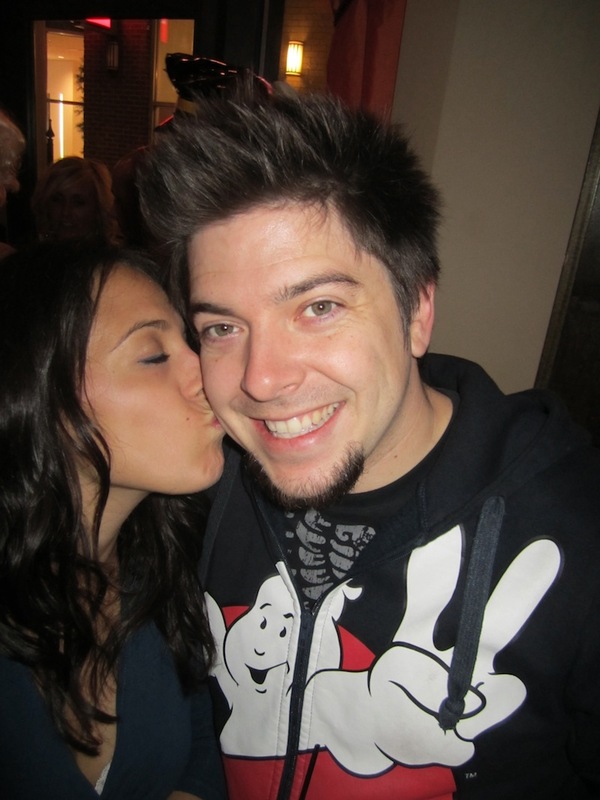 Good times, I know. Anyway, we had the game the next day at 1:00pm. We met Jay’s parents outside the stadium and headed in together. 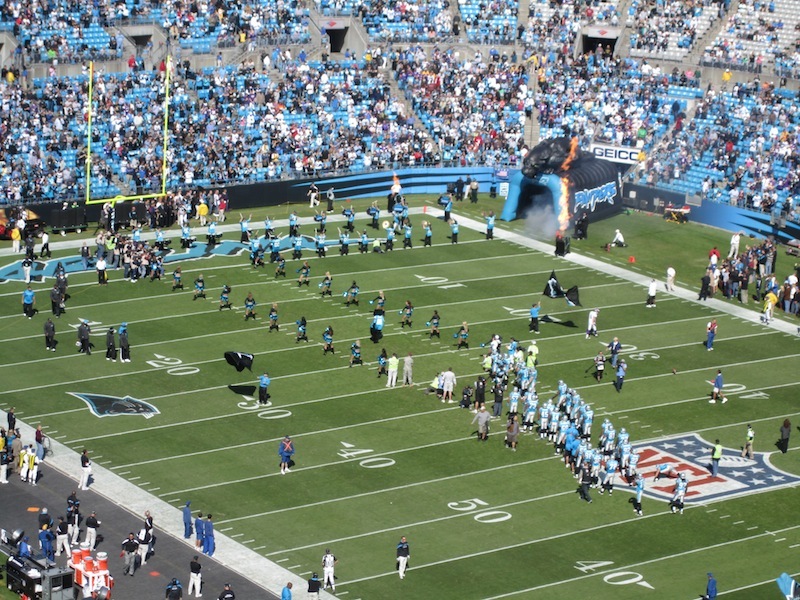 Say what you will about actual Bank of America, but they did build a really nice stadium for the Carolina Panthers. Our seats were “up there” but at the same thing, I think they were perfect. We literally saw everything. Great view and I only freaked out about the height once. The best part about the game was the lack of tension for me! I didn’t have a huge preference who won; I wouldn’t have minded if the home team won, but my dad is literally a Long Island raised, lifelong Vikings fan. Either way, I would’ve been pleased. It was nice to just be able to enjoy the game, the moment, and the company! Big thanks to Ed H. for hookin’ us up and inadvertently giving Jay & I a fantastic 6 month wedding anniversary gift. 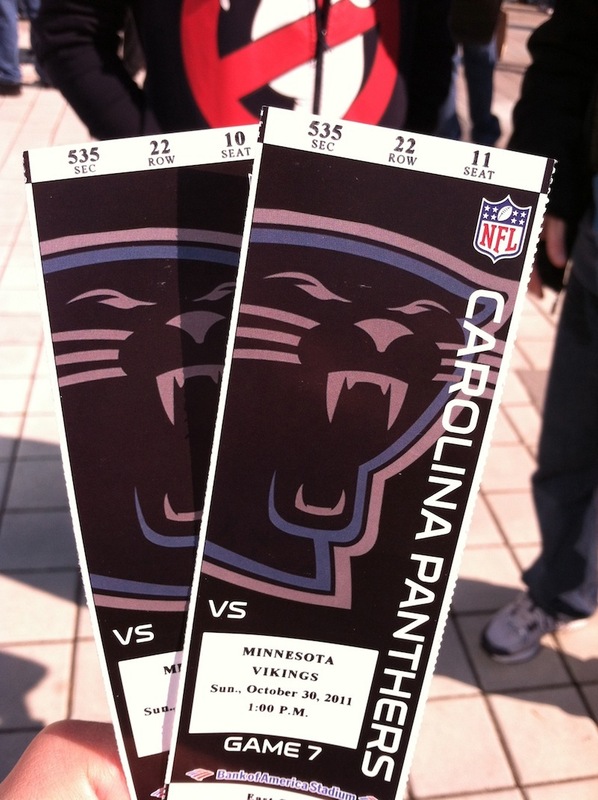 I think Jay & I will definitely at some point go back to Charlotte and see another game. It was so nice to have a relaxing “away” time to gear up for this past, crazy, crazy week! More pictures after the jump. You can click on any of them, including the ones above, to enlarge. This entry was posted in Adventure, Jay Glatfelter, Married Life, NC Adventures. Bookmark the permalink.